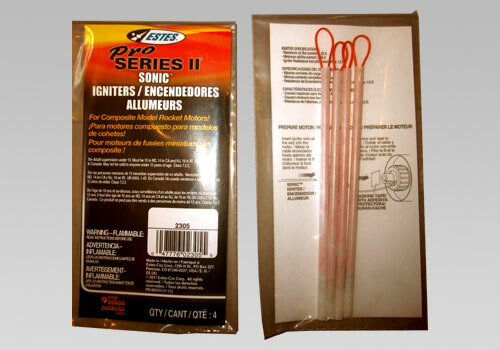 The Sonic igniter from Estes is a lot like their regular igniter. The difference is that the wires are insulated, so that they are much less likely to short out. It can be ignited with the regular Estes launch controller to ignite black powder engines or smaller composite motors.